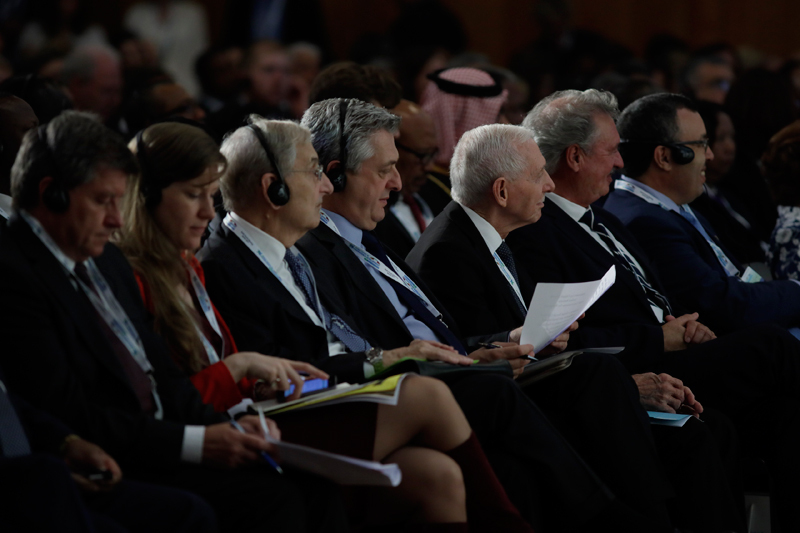 Germany — The annual Global Forum on Migration and Development (GFMD) has opened with commitment from high level officials to advance global migration governance and leverage the development and economic benefits of migration. With Germany and Morocco as the Forum’s current co-chairs, the three-day summit kicked off at Berlin’s Federal Foreign Office with remarks by Germany’s Minister of Foreign Affairs, Sigmar Gabriel, and the Kingdom of Morocco’s Secretary General and Ministry Delegate to the Minister of Foreign Affairs, El Habib Nadir. “Only collective action and renewed cooperation based on shared responsibility and development can maximize the positive effects of migration on host countries, countries of origin and on migrants themselves,” said Mr. Nadir. Other speakers at the opening ceremony included the Special Representative of the UN Secretary-General for International Migration, Louise Arbour, the Director General of the International Organization for Migration, William Lacy Swing, the UN High Commissioner for Refugees, Filippo Grandi, and the Director-General of the International Labour Organization, Guy Ryder. The event anticipates the participation of more than 700 policymakers and practitioners from 140 states, international organizations, civil society and the private sector. Attendees will focus on the theme, “Towards a Global Social Contract on Migration and Development,” and more specifically on balancing the best interests of migrants and their countries of origin, transit and destination, within the goal of safe, dignified and well-managed migration. Outcomes of the summit will feed into the ongoing process of forging a “Global Compact for Safe, Orderly and Regular Migration,” a framework for effective migration governance to be adopted by the United Nations in 2018. The Global Forum on Migration and Development was set up by the United Nations in 2007 to be an informal, non-binding, voluntary and government-led venue for high-level discussions on policies, challenges and opportunities of the “migration-development nexus.” The Berlin summit marks the culmination of more than a decade of international dialogue and cooperation on migration and development.